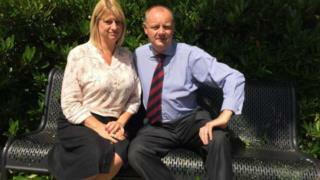 A couple have been told to pay £450 in fines and costs for taking their children on holiday in term time. Tracey and Andrew Buckett, of Drayton, Norfolk, took their three children to the Algarve in October last year. Although one Norfolk school approved the absence, the two others refused permission. The pair admitted the unauthorised absences at Norwich Magistrates' Court in a prosecution brought by Norfolk County Council. Mr Buckett said despite the fine the trip was still cheaper than paying for a holiday during the school holidays. "I think it's a victory today, it could have gone bad for us but we stood to our guns," he said. "We think the whole system is unfair, to be dictated to by the schools when and when we cannot take our kids out of school. "I think those legislations need to be changed." Mrs Buckett was fined £120 and made to pay a £30 victim surcharge. Mr Buckett was fined £120, ordered to pay £150 costs and a £30 victim surcharge. Taverham Junior School and Taverham High School denied the Bucketts permission for the absence but Nightingale Infant School approved it. Paul Stanley, head teacher of Taverham Junior School, said he was unhappy with the high prices charged by leisure firms for holidays during school holidays compared with term-time costs. "We had 60 requests for absences during half term - that gives you an idea of how regularly we have to make these decisions," he said. A Norfolk County Council spokesman said: "Ultimately it is head teachers who decide whether or not to take action. "As the local authority, we can undertake the administrative duty of prosecuting parents on behalf of the school or academy that wishes to take action, including deciding whether to proceed based on the evidence provided by the school."